Venue: Stade Josy Barthelon, Luxembourg. Luxembourg welcome the Super Eagles of Nigeriato Luxembourg City for the first ever international clash between both teams. The clash will serve as a build-up to the 2018 Fifa World Cup qualifiers following the Super Eagles 1-0 win over Mali in Rouen on Friday thanks to Kelechi Iheanacho’s 77th minute strike. The game will be played at the Josy Barthel Stadium. The clash was brought forward 24 hours because of the hosts’ participation in the Tour de France cycling competition. Luc Holtz’s men are winless in their last three games and face Latvia in a World Cup qualifier in September. The hosts last won a game in November 2015 when they defeated Greece 1-0 in a friendly match with Aurélien Joachim getting the lone strike. 90′ Goal! Luxembourg pull one back. Goal by Thill Vincent. 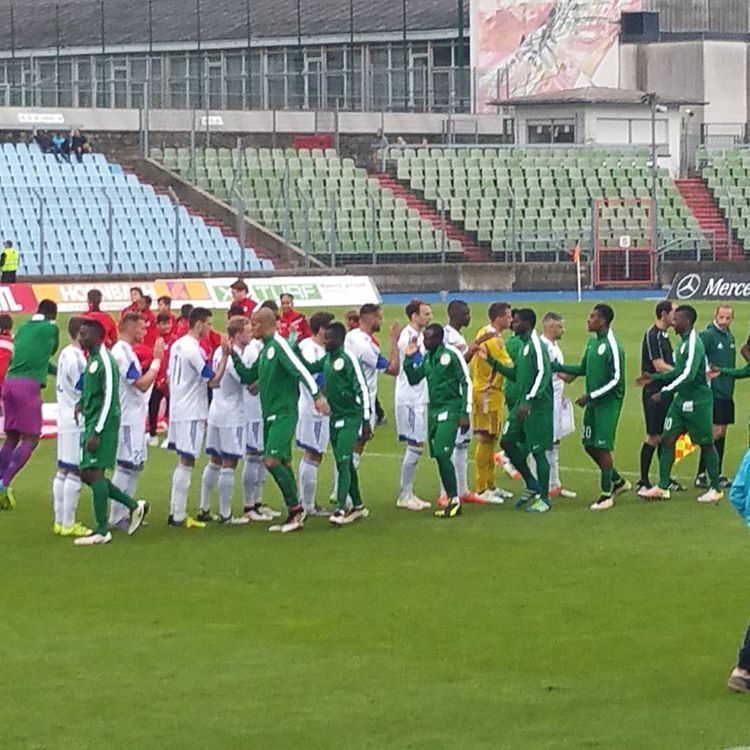 Luxembourg 1-2 Nigeria. 55′ Subs: Iwobi, Aminu Out; Babatunde, Simon In. 19′ Iwobi close, Umar closer and Iheanacho’s effort blocked. 0′ Match underway in Luxembourg. Nigeria XI vs Luxembourg: Akpeyi, Echiejile, Omeruo, Abdulahi, Ekong, Ahmed Musa, Onazi (C), Alex Iwobi, Ideye,Kelechi Iheanacho, Umar.